Brilliantly jaw dropping Burj Khalifa, the world's tallest building ushered on New Year 2014 in vibrant colors of fireworks,drawing the colors of UAE Flag making the whole world watch in awe.It was then,Dubai broke Guinness World Record with the largest fireworks display this New Year. For those who might be thinking the event was an exception,you might just be wrong.Dubai is a place for celebrations.When I am penning down the post now,the World Expo 2020 winner Dubai is celebrating Dubai Food Festival which lasts for 23 days.Dubai International Kite Festival is the only event of its kind in the Middle East and the celebration starts from 17th January 2014.When I was there,I visited the Dubai International Parachuting Championship,where Skydivers from across the world had come to participate and form various Formations mid air in the very popular Dubai Skydive.The list of festivals in Dubai for this year is here. 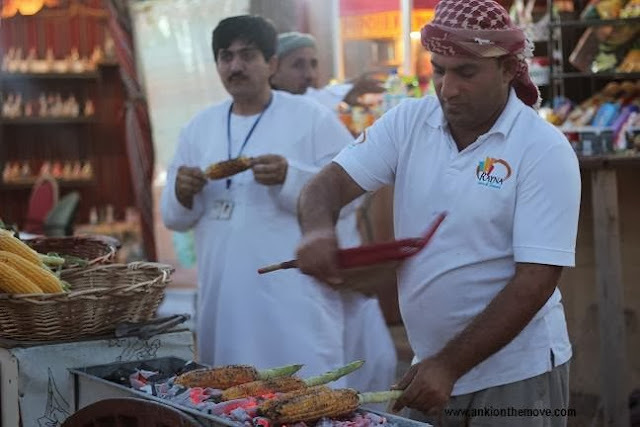 For those who are already tempted to visit Dubai,Emirates has recently launched packages worth 30k inclusive of Airfare during the 19th edition of the Dubai Shopping Festival for 3 nights/4 star properties.If you still want to do it on your own(which I had suggested in previous post might turn out to be equal or more than the packages),you can go for the options here. As I said before my trip, to Abu Dhabi and Dubai was purely personal.I wanted a vacation which was just me and my friends.Thanks to Canada Tourism,Thailand Tourism,Visit Scotland and Visit Britain for having faith on me the last year and sponsoring my trip.However,this was a trip when Social Networking was last on my mind.I didn't have a checklist on which places to go either,may be just a rough Idea the way it was for Maldives.I love the recognition the rat race in the mind provides,I mean ain't we all running in the race for being the best intentionally or unintentionally.For once I ain't doing bad,300000 visitors in just 2 years,so many comments and recognitions,recently listed in top 4 travel blogger to get inspired from,top 11 adventure bloggers to follow,in top 25 Indian Travel Bloggers,plenty of brand associations and interviews and I have interesting career to support me.Frankly,I feel blessed.It wasn't that I had these things in my mind prior,but along the way came beautiful people who trusted in me and experiences I wouldn't have got otherwise. beer by the midnight.What else do we want from life?Coming back to Dubai,lets begin with what we did,shall we? Constantly voted as the world's most luxurious hotel,Burj Al Arab is situated overlooking the tortoise blue coastline of Dubai.The sea reminded me of Maldives.In fact,the gorgeous Dubai coastline with white sand and tortoise water followed us even while driving from Abu Dhabi to Dubai.The broad roads on the highway were meant to provide a stunning view,so this side or that side was the sea and our road.In fact,here is the list of some of the beautiful beaches of Dubai you may want to stroll in.Here is the list of Car Rental Services in UAE. We had great fun in the beaches.And after we were done admiring the natural beauty with the man made creation just alongside,we decided to eat at a local dhaba. 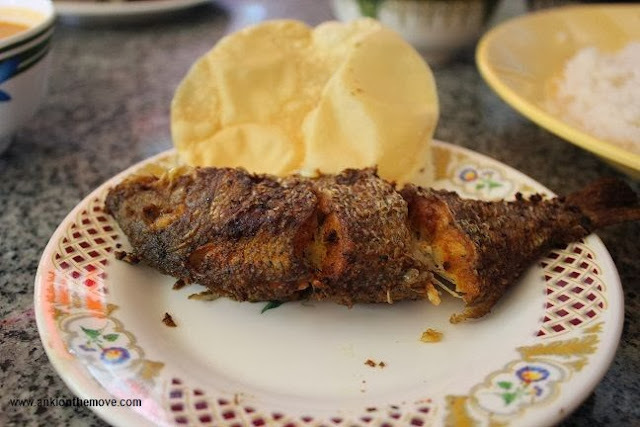 Fish fry ,Rice and Curry was what we had ordered.And believe me the flavors were melting in my mouth,the same way last time in Abu Dhabi Papparoti did the trick. Ah! For once I love being a Non-veg.The fresh fish fried and served. After choosing our pick up point from the Mall of the Emirates,at around 3pm our bus came.We were told that we would be transferred to the Land Cruiser (4wds) at the Desert Site.And when we were,the ride began with much gusto. The golden sands and our 4wds cruising its way speedily over the up and down dunes making its way forward with bollywood tunes(Yes!) 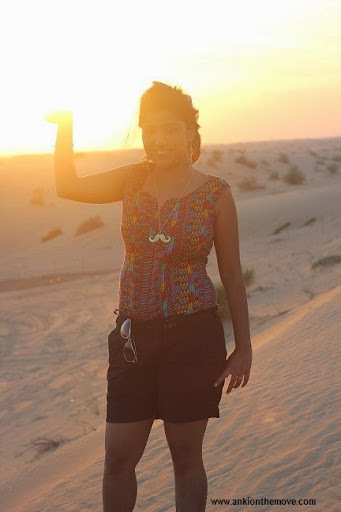 playing in our (4wds) .It was then we saw most beautiful sunset making the sand shimmering like gold. 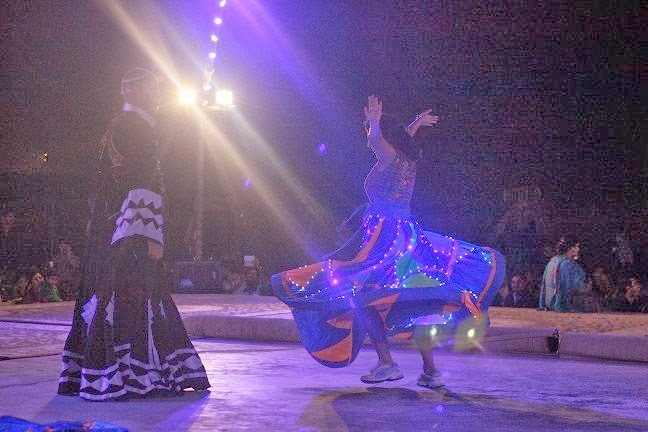 And when we were all ready to settle in and sit and enjoy the belly dance we were amused to see the performances that followed.It was magical.I still wonder Shakira like moves would take so much practice and performing in front of cheering audience,an applause for sure. Dressing up in Abaya,holding the falcons,eating the best of Kebabs at the site were some of the attractions. The pretty lady in Abaya! Do you like me? An ideal Desert Safari with renowned Arabian Nights would cost roughly 80$ pp.Sangeeta Reghu Nair from SangryWords gives her insight on Dubai and Oman and says that we can even do an overnight Safari with stay in the desert in Dubai but that costs a bomb,but should be worth it.If you are looking for cheap options,we do have Groupon deals on the UAE website but I am not sure about the experience they provide. Colourful Dubai. You seem to have had a blast! 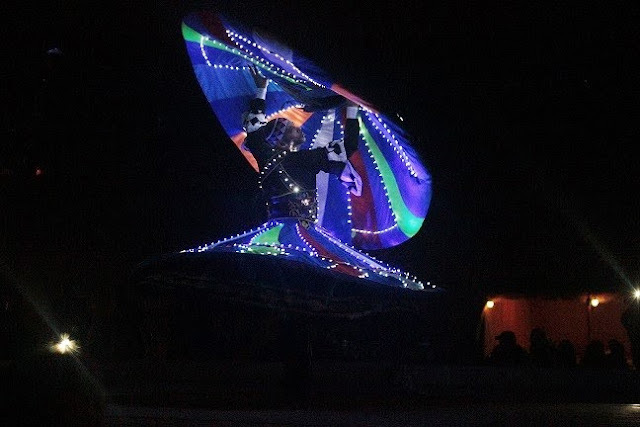 Were you there at New Years Eve? We might have been there at the same time (although I had no idea Dubai was planning to set the world record with their fireworks show until after I had arrived in the UAE). Hi! My name is Suresh Das I want to shared my manali trip, My manali trip was awesome, which done by car hire Delhi and planned by me, the carhire agency is provide me a “Luxury tourist car on rent Noida” , which was come in my Budget, They provide me the Meals, snacks, soft drink on the way and sightseeing. The owner of carhire is good in nature because when I was in the way he call and asked how are you,where you reached, there is any problem on way. I like the trip and enjoyed, I can’t forget that trip. @R Niranjan Das:Well to be honest,Dubai is a wonderful country. 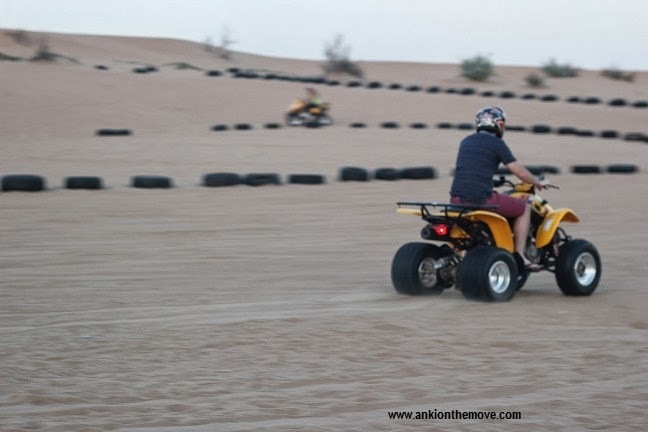 People have been visiting the Desert Safari in the mornings because the Dune bashing, Quad biking and Camel riding are only offered by the Morning Desert Safai Tour. Most of the people have been visiting Dubai for experiencing different adventures of the best desert safari dubai with their friends and families. 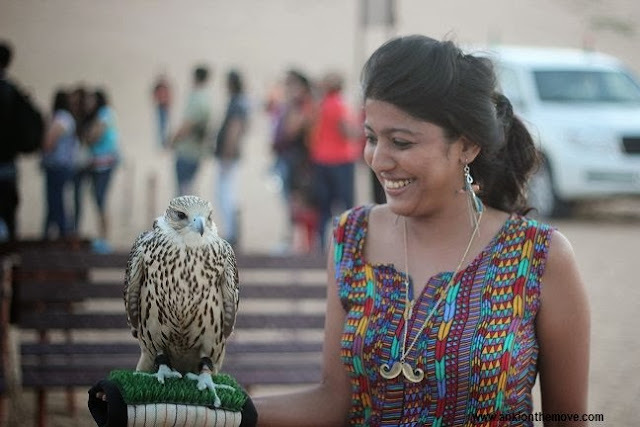 I am planning to visit UAE and this post has made my mind to visit desert safari. 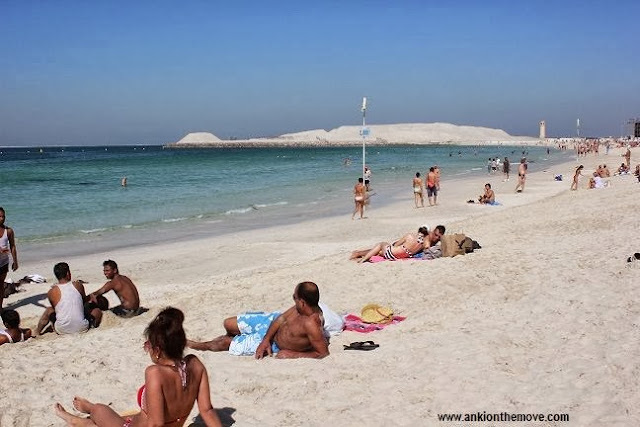 Wow Awesome & informational Site I have ever seen about Dubai. Let me introduce another Business which Dubai Desert Safari & we provide our clients with a taste of the luxurious life. 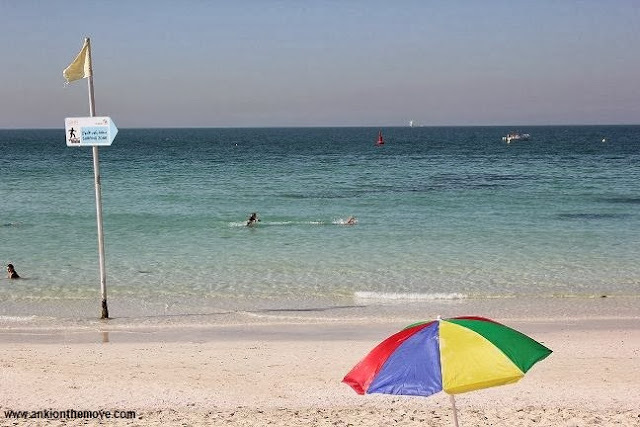 Can you suggest places to stay in Dubai? Ha..Ha.. Wonderful! 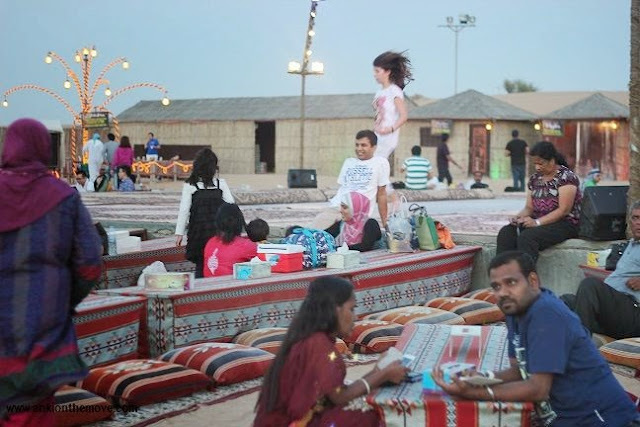 Previously Desert Safari is one of the famous traveler places to visit in Dubai, but now it’s Safari Beach.